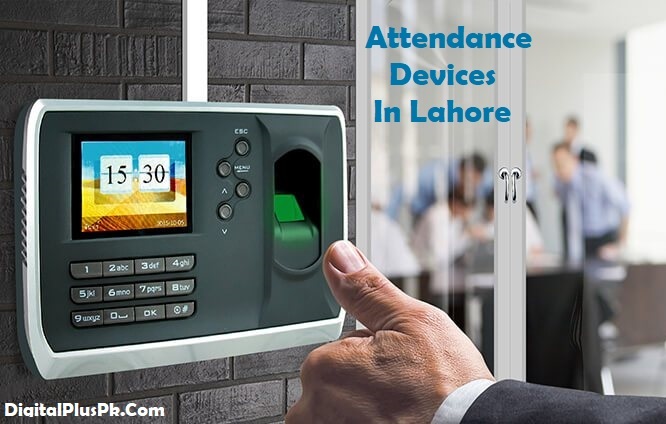 If you’re looking for Attendance Devices Lahore with most accurate and advance software system. DigitalPlus have biometric and face recognition Attendance Devices together with a software system. Our goal is to facilitate you with correct monthly/weekly/daily attendance coverage to keep business office rules and SOPs intact. Biometric attendance systems are one in reference to the attire solutions in terms of attendance and time increasing universe. You’ll be able to place your fears to rest behind the biometric system and oppose the leap into a biometric-based time and attendance preparation. DigitalPlus presenting worlds leading and identical brand Honeywell Fingerprint and face recognition Attendance devices for biometric time attendance management systems. DigitalPlus Attendance Devices Lahore are very simple to set up and install and reporting over the software system. Our professional teams shall take you through to train on each step to observe and guarantee complete accuracy. 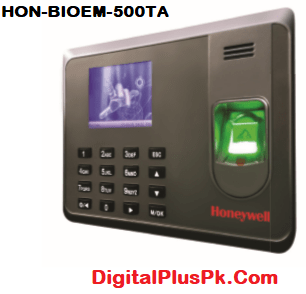 Honeywell HON-BIOEM-500TA is our most selling and efficient attendance device in Lahore. HON-BIOEM-500TA is fully fledged is time & attendance terminal with the fingerprint technology. It consists of a self-service report(SSR) stored in the time clock. The 2.8inch TFT screen can show additional info vividly, together with ﬁngerprint image and veriﬁcation result. TCP/IP is a standard that makes sure the data transmission between terminal and computer is simply done among a few seconds. An internal backup battery ensures the device work usually when the light cuts off suddenly. Keeping an eye on employee presence in the business is a vital key for the efficiency of a business. DigitalPlus provide web & desktop base Honeywell attendance devices in Pakistan. DigitalPlus is also one of the top most trusted authorized dealer of Honeywell Pakistan safety and security. Our biometric thumb impression Attendance Devices are capable of carrying three thousand to ten thousand fingerprints information at the same time together with one hundred thousand logs. These Attendance devices can work standalone also as over the local area network (network) for efficient communication. Our devices consist of modern communication mediums like WiFi and 3G. 4-5 hours power/electricity outage is well compensated by inbuilt rechargeable lithium batteries. What comes within the package when you buy attendance devices in Lahore from DigitalPlus? A step ahead in technology innovation, we are introducing high-reliability facial expression together with RFID/biometric (optional) terminal. Its high definition IR camera never misses the entry and face capturing. These devices are capable of holding 1500 faces information together with 3000-10000 data for card and biometric. Its unique & modern style is simple to install and use. Touch buttons are accessible on the device itself which allows users to enter their info very simply. Biometric as well as facial expression time attendance devices have access management features that facilitate your to allow and prohibit entry of people to certain space.